WASHINGTON, D.C. - Representative Xavier Becerra (CA-31), Assistant to the Speaker and the only congressional member from Southern California on the House Committee on Ways and Means, today introduced the Genomic Research and Accessibility Act, a bill that once enacted, would put an immediate end to the practice of patenting any and all portions of the human genome. Rep. Dave Weldon, M.D. (FL-15) joined Rep. Becerra as the co-author of the legislation. It was 54 years ago this month that James Watson and Francis Crick discovered the structure of Deoxyribonucleic acid (DNA), which is a molecule that contains the genetic information, instructions and functions of nearly all living organisms. This discovery led to the 1990 founding of the Human Genome Project, a U.S.-initiated and funded undertaking through the Department of Energy and the National Institutes of Health and in collaboration with geneticists from China, France, Germany, Japan and the United Kingdom. Its goal was to code three billion nucleotides contained in the human genome and to identify all the genes present in it. This mission has given us a greater grasp of many of life's most basic - and most tragic - questions. The Project's efforts have led to the discovery of approximately 35,000 genes. Twenty percent of those genes have already been granted patents by the United States Patent and Trademark Office (USPTO). "One-fifth of the blueprint that makes up you … me … my children … your children … all of us … is owned by someone else," Rep. Becerra said. "And we have absolutely no say in what those entities do with our genes. This cannot be what Watson and Crick intended. " "The practice of gene patenting is preventing critical research from advancing because scientists are wary of trespassing patent laws," Rep. Weldon said. "This not only violates the spirit of the Human Genome Project, it hinders the discovery of medical breakthroughs that could save lives. Our bill is a common sense measure to ensure that genes yet unpatented remain the province of science." The legislation gives guidance to the USPTO on what is not patentable - in this case genetic material, naturally-occurring or modified. It is not retroactive - it does not rescind the patents already issued. Patents are granted for a period of 20 years from the date that an application is originally filed. "Thus, if we enact this bill into law quickly, we will reach balance in less than two decades - a patent-free genome that does not hinder scientific research, business enterprise, or human morality," Rep. Becerra said. "We seek simply to fix a regulatory mistake," Rep. Becerra said. 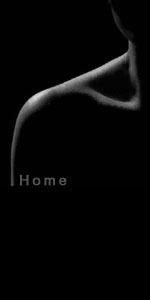 "Genes are a product of nature; they were not created by man, but instead are the very blueprint that creates man, and thus, are not patentable. Gene patenting would be the analogous equivalent to patenting water, air, birds or diamonds. "Enacting the Genomic Research and Accessibility Act does not hamper invention, indeed, it encourages it. The proliferation of scientific prowess, medical innovation, and economic advancement will all occur if the study of genes is allowed to happen unabated. Incredible manifestations of intellectual property will result: medicines, machines, processes - most deserving of recognition, some potentially life-saving, and all worthy of a patent." 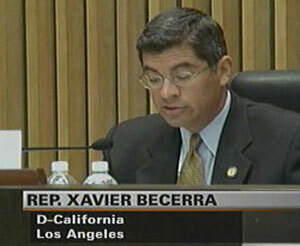 REPS. BECERRA & WELDON INTRODUCE BILL TO BAN THE PRACTICE OF GENE PATENTING, Representative Xavier Becerra (Feb. 9, 2007).